I love Influenster. They always send me the most interesting products to try out. A lot of times, the products aren’t necessarily even in stores yet. If you aren’t already, you should go sign up for Influenster right now. 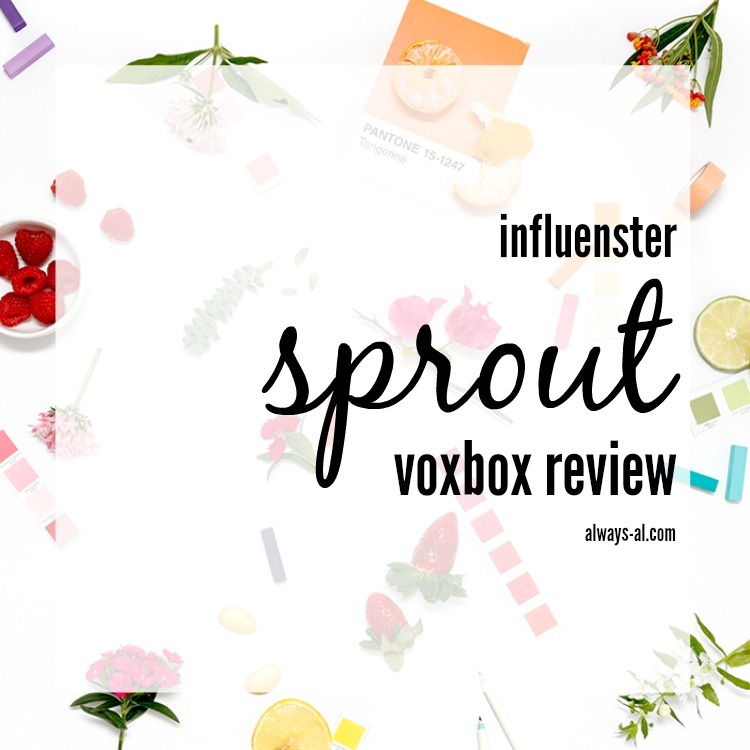 The Sprout Voxbox had a very interesting variety of products included in it. This is one of their “Wellness Boxes,” and I think all the items fit the theme wonderfully. I was very pleased to find a lot of edible treats in there, which I always love. ** I received these products free for testing from Influenster. All opinions are always 100% my own. 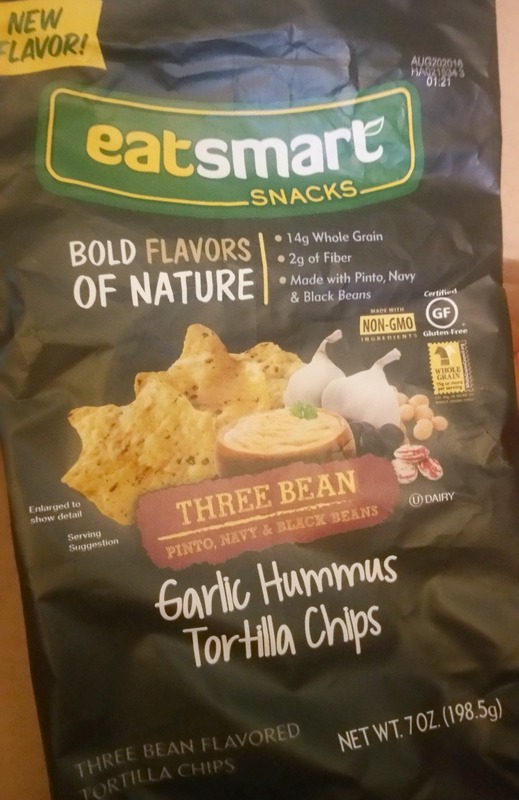 The first thing that jumped out at me are the Eatsmart Snacks Garlic Hummus Three BeanTortilla Chips. I opened them right away, and was blown away by the garlic taste. They were SO good. They felt really light, and because they were so flavorful, they really don’t need any type of dip or salsa. I ate them at lunchtime for a few days, and it added a delicious crunch. 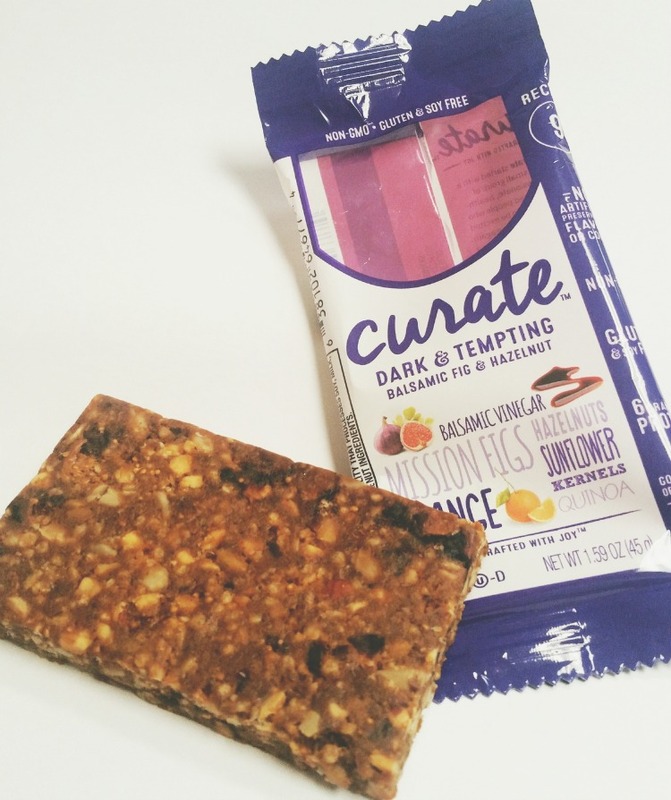 The next item that I naturally opened was the Curate Dark & Tempting Snack Bar. The flavor of this bar was uniquely sweet and savory, with a flavor of balsamic vinegar. I ate this in the afternoon one day, when I was hungry but it wasn’t meal time yet. It was a nice, healthy way to make the afternoon go by faster. 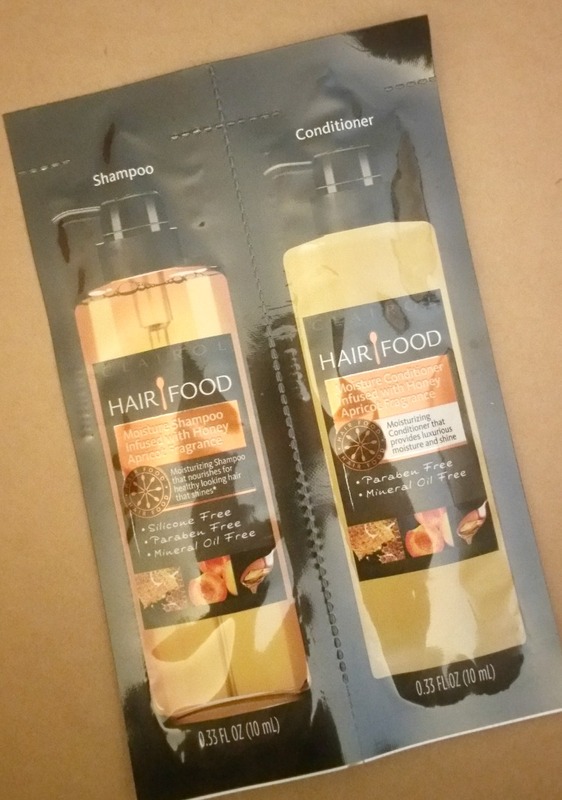 There was a foil packet sample of Hair Food Apricot Shampoo and Apricot Conditioner. I’ve tried Hair Food products in a previous VoxBox and I really like them. They smell amazing, and always make my hair very silky. I didn’t love that this was a foil packet, because with my long, thick hair I will use that in one use. I don’t think you always get a good idea of a beauty product from one use. I feel like I am always bringing 100 loads of laundry with me to the laundromat. It is probably because I do our laundry for the week in one night, but I feel like I do it so much, and I’m always running out of detergent. 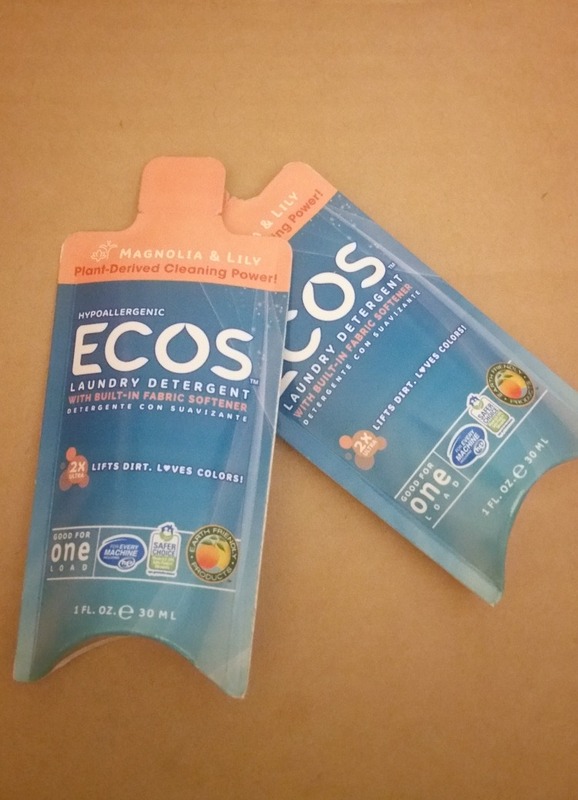 When I saw these ECOS All Natural Laundry Detergent samples, I was very excited. I would compare these to Mrs. Meyers detergent, but I thought the scent was much more subtle. Our clothes felt clean, and smelled great. I specifically enjoyed the single use sample sizes, because I could just throw them into my pocket to take to the laundromat with me. 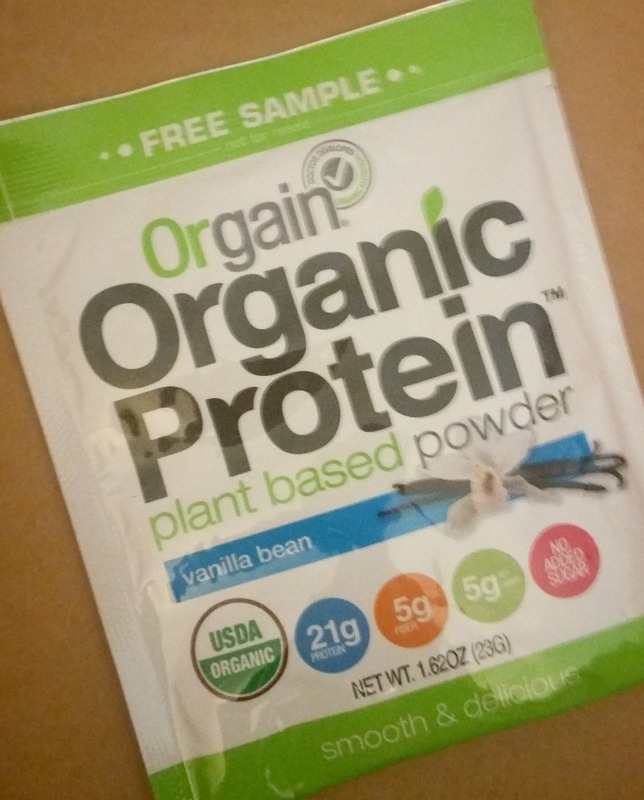 The last thing I tried was the sample of Orgain Organic Plant Based Protein. This was in the vanilla bean flavor, and was really good. I drank it after a workout during the week, and I felt full and satisfied. I have been looking into plant based protein powders, and will definitely consider buying this in the full size.